If you live with pets, then you might be familiar with the damage they can do to your carpet. We recommend that you professionally clean your carpet at least twice a year. We recommend that you repair the area right away from pet damage before the area becomes worse, increasing the price to repair. 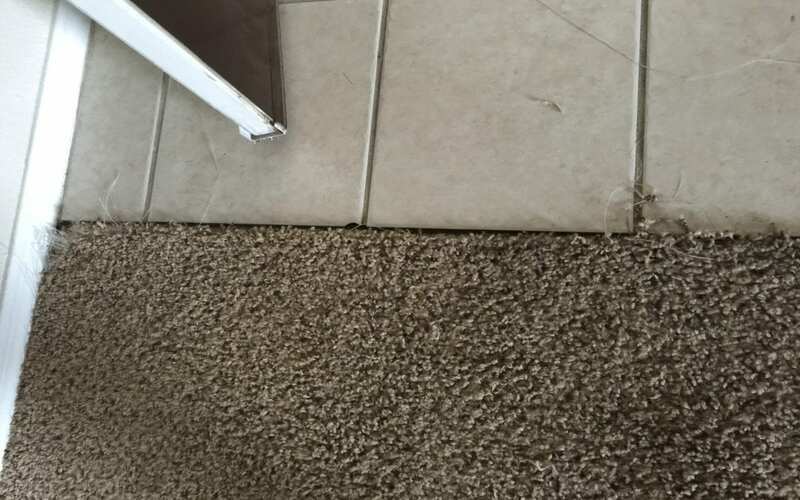 Our customer in Chandler had a cat that clawed at her carpet. The damage was right at the front doorway, so it was very noticeable and was in a good position to become a trip hazard if it was not repaired right away. We also specialize in tile cleaning, upholstery cleaning and carpet stretching services!